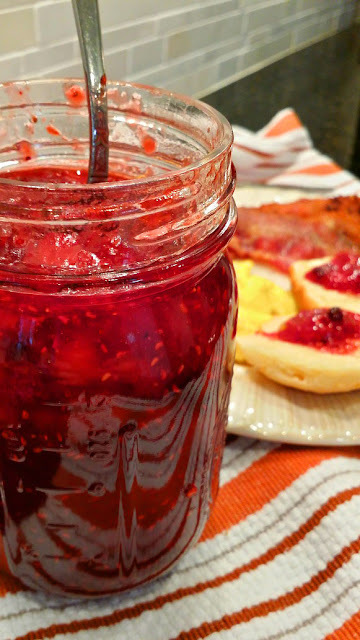 Many people save their jam and jelly making for the winter time. When the weather is cold (well, usually), it is so much more pleasant and better for you and your electric bill to stand over a pot of boiling water than in the summer. I'm one of those people. 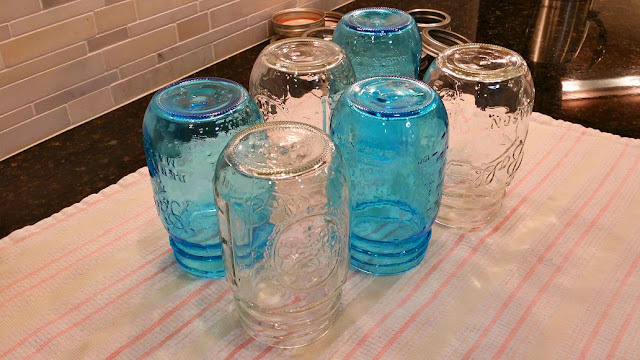 Canning jellies and jams in the winter not only helps heat up your house, it brings the added benefit of humidity through steam into your home. Having moved to the Northeast from Florida, I never thought I'd live to see the day where I'd want to BRING humidity into the house, but hubby and I sure found the benefits of it last winter. 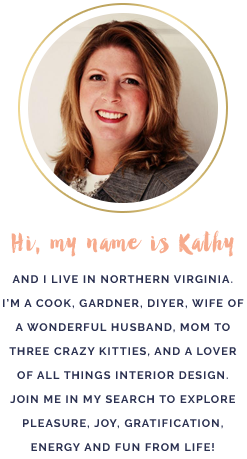 I had started working from home full time earlier in the year and was running the heat and fire place all day long. It didn't take long for our skin and our hardwood floors to start showing evidence of a very dry and warm winter house. We brought in a humidifier and that helped our skin, but it took most of this past summer to bring our floors back to what they were before. You see, hardwood floors will shrink and gap in low humidity environments, which made me freak out last year. I actually thought our house foundation was moving or sinking! They gapped pretty large in some areas and never fully went back to normal, so we learned our lesson. Humidity in the winter time is GOOD. Anyway, back to making jams and jellies! I am one of those people who harvest and freeze all of the soft fruit I gather over the summer. Strawberries, blueberries, raspberries, sour cherries, figs, and even peaches all are frozen for a later time. 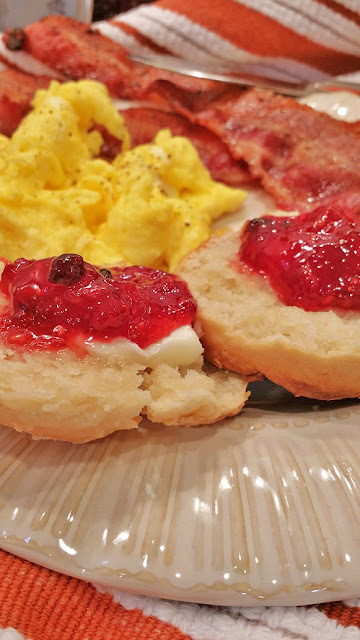 I do make a few batches of jam or jellies over the summer, but most are saved for colder days. One of my favorite jam recipes is Bumbleberry Jam. This is a recipe where you get to use all the bits and bags of leftover fruit that aren't enough in themselves to make a batch of one flavor, so you combine them all in a "bumble jumble"! It's never the same ratio, but I always use the total amount of fruit. 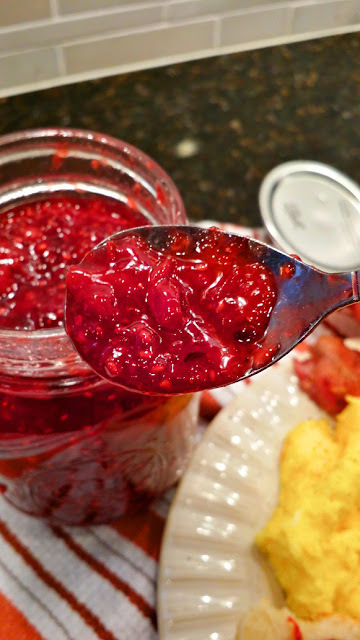 One word of advice: go light on the raspberries, as they have a tendency to overpower any mixed fruit jam. *Note: If you are using frozen fruit, thaw first and then drain off liquid. Mash fruit with a potato masher or pulse one or two times in a food processor. You don't want to puree the fruit, but leave a few large pieces here and there. Add fruit to a large pot with the pectin and lemon juice. Stir to combine. Bring fruit to a hard boil; stirring constantly, and boil for one minute. Add sugar all at once and bring back to a hard boil; stirring constantly, and boil for one minute. Remove from heat and skim off any foam if there is any. Ladle jam into prepared jars, add prepared lids, and boil in a BWB for 10 minutes.